We act as your medical claims processing and can help you increase your productivity, profitability and revenue by handling all the activities involved in Medical Claims Processing Company. The software that we work on, helps us be versatile. Our firm have tie up with many of New Generation Motor Vehicle Insurance Company and provide cash free garage facility , So accident repair work and claim made easy. Our complete healthcare administration package includes medical transcription, claims processing as well as electronic medical records. 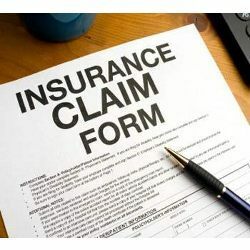 To ensure that medical insurance claims are processed free of errors and discrepancies, it is essential for processing to be completed by an experienced professional. For medical professionals, who specialize in providing care to their patients, it is not possible to efficiently and accurately complete this back office duty. We do more for you than just plain processing. We can deliver value-added Services to meet your needs. We provide solutions for claims re-pricing & adjudication which includes members eligibility verification, provider contract verification required for claims processing, verification of codes to spot bundling issues & duplicate claims. We also audit claims to ensure adherence towards compliance. R2K Software India Pvt. Ltd.
One of SATMED's core competencies is the quick adjudication of claims, accelerated to the edge of what can be delivered by both technology and human effort. At SATMED, automation performs nearly every part of every process antecedent to and subsequent to this step - except this crux, which necessitates human intervention. We comprehend the fact that if claims are not filed appropriately or if there is any gap in maintaining and filing the right patient statistics, claims may lead to rejection. In order to prevent you from all these hassles, we offer advanced healthcare claims processing services to medical service providers all across the globe. Mdindia Healthcare Service Pvt. Ltd.